* This item will be custom made per your metal and size specifications and will be shipped on or before Wednesday May 15, 2019. You can request a stock inquiry from the Jewel Box once it has been added. 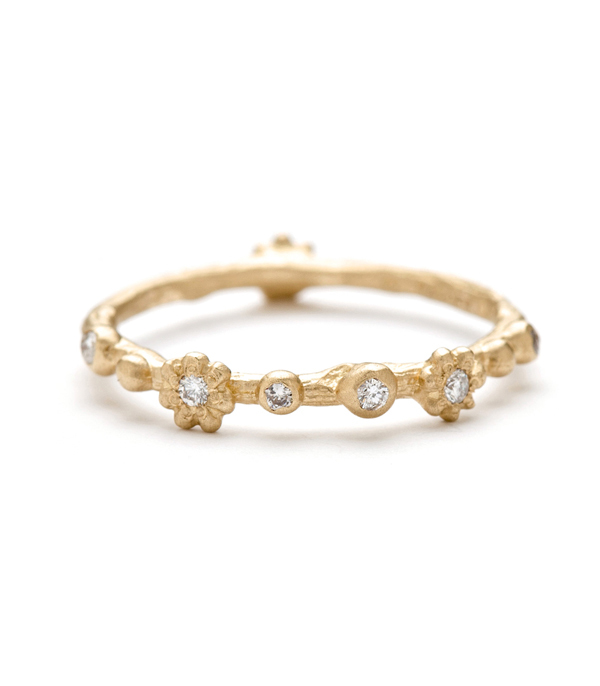 Beautiful and sparkly, this 14k gold daisy and scattered pods stacking ring twinkles with diamond accents (0.10 ctw) and innocent charm. 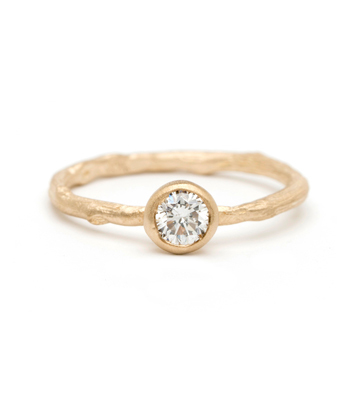 This piece makes the perfect wedding band for a natural beauty bride! 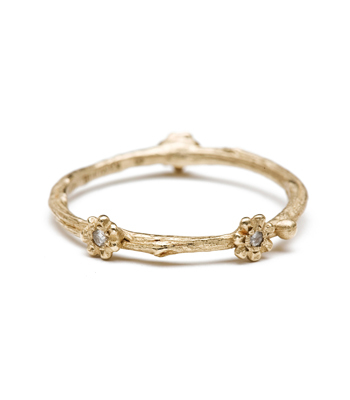 It is simply gorgeous when paired with multiple styles from our Earth and Sky Collection to create a unique stack. 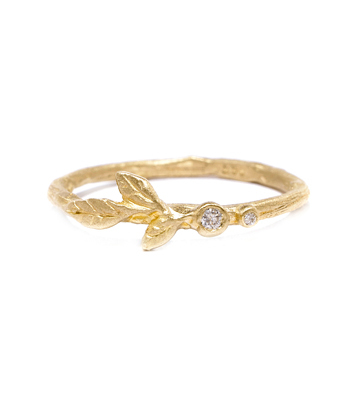 An adorable gift for the gal who loves nature inspired jewelry. 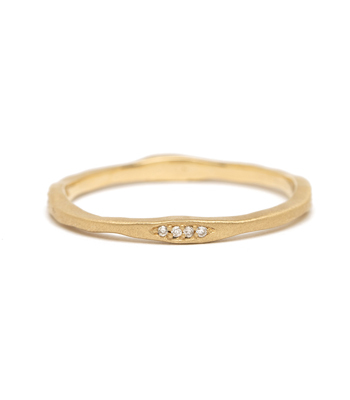 Band measures approximately 1.5mm. 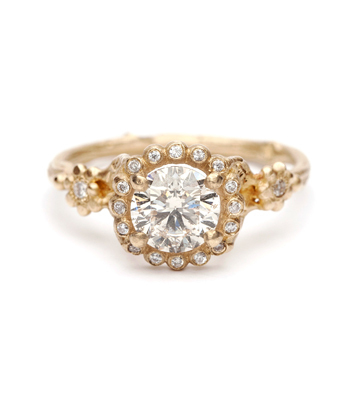 Categories: Bohemian Elegance, Earth and Sky, Rings, Stacking Bands, Stacking Rings, Women's Wedding Bands.